There’s so much controversy in the diet field. 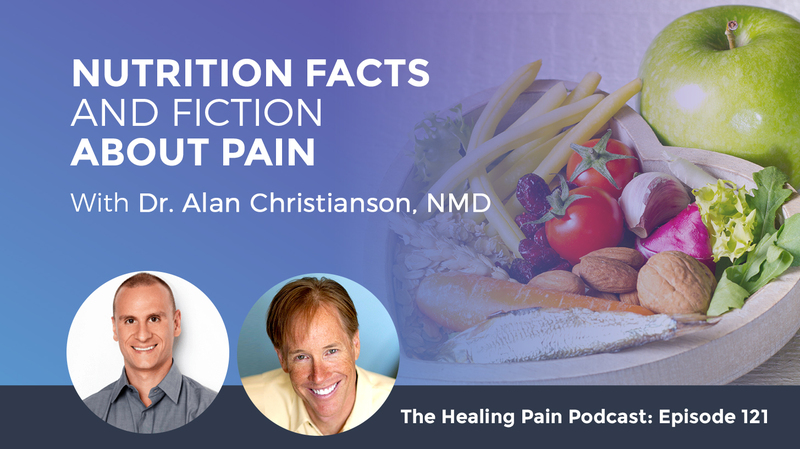 Being a naturopathic physician, Dr. Alan Christianson, NMD is definitely on the frontline of this as he tackles the biggest diet myths. Most of the time, people’s need to eat healthy and be fit and healthy lead them to succumb to different diet trends. They explore and tend to blow out of proportion some information about food. Dr. Christianson talks about nutrition facts and fiction about things we find in foods that, when taken out of context, can make them sound dangerous. 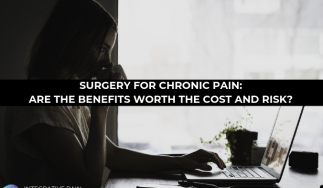 He says it is important to know how to separate fact from fiction so you know exactly what to eat when it comes to pain, chronic disease, and your health. Joining us is my friend and colleague, Dr. Alan Christianson. He is a New York Times bestselling author and a Phoenix, Arizona based naturopathic medical doctor who specializes in natural endocrinology with a focus on thyroid, adrenal, and metabolic health conditions. He is the author of The Adrenal Reset Diet, The Complete Idiot’s Guide to Thyroid Disease, Healing Hashimoto’s: A Savvy Patient’s Guide and his book, The Metabolism Reset Diet. That book is available in all stores and retailers including Amazon. As a child, Dr. Christianson suffered from cerebral palsy, a seizure disorder, poor coordination, and obesity. In high school, he discovered books on nutrition, fitness, and health, and created his own recovery plan. Now he is healthy, an avid mountain biker and a rock climber and a physician who helps others optimize their health. He frequently appears on national TV shows like Dr. Oz, CNN, The Doctors, and The Today Show. Dr. Christianson is a wealth of information when it comes to nutrition science. 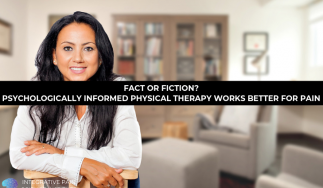 He will help us separate fact from fiction so you know exactly what to eat when it comes to pain, chronic disease, and your health. Alan, welcome to the podcast. It’s great to have you here. Joe, I’m super jazzed to be here with you. This will be fun. The concept that emerges is that there are things we find in foods that’s taken out of context can make them sound dangerous. It can make us fearful of foods. The odd thing is that most of the superstar superfoods have these various chemicals in them. There’s this idea about farm uses toward things that would be toxic in huge amounts are probably helpful in tiny amounts. The broccoli case in point, it’s got these compounds, this glucosinolate, these endo compounds. They’re insecticides. They’re naturally incurring insecticides. If we could IV dose a bunch of that, we would croak. They’re like horribly toxic. In the amounts found in food, they happened to make our bodies prepared to do battle with poisons. They make our liver stronger. They do good things for us. People often see these plant constituents, these food constituents, take them out of context and make fear about them and think they should be dangerous or harmful. Oxalates have a big case in point that we were talking about. Lectins and nightshades and you name it, they’re all things that’s taken out of context. If you look at this chemical in isolation, it could do weird stuff. How it works in the context of an overall diet is very different. All of us are online putting out great content, much of it as evidence-based. Some of it is not evidenced based. There are bloggers out there that can pull one or two words from a study somewhere about, you mentioned oxalates which I want to talk about. In school, you’re learning about oxalates and phytates and things like that. You’re learning about the pros and cons to them as far as human health goes. There are lots of evidence and lots of data. The funny thing is they’re evidence-based. People can find evidence for almost any perspective. I’ll throw this by you, but I’m thinking about the idea of evidence lead as being distinct because you can base a lot of things off of evidence, but do you lead things? Do you make your decisions based upon the sum total of evidence? That’s the distinction. What has your research told you? Let’s say a couple of things, oxalates being one, which for the pain community, more than every once in a while I get emails from people saying, “Should I stay away from oxalates? My practitioner advised me to eliminate all oxalates from my diet.” Along with their attempts to eliminate oxalates, they’ve also eliminated foods that have a lot of benefit to them. What has your research shown you about oxalates when it comes to pain? Oxalates, even more than a common food constituent, they are a ubiquitous cellular constituent. Oxalic acid is how we make RNA, which is how cells divide. Our bodies produce more oxalates than we could ever consume. There have been some valid hypotheses about the role of oxalates in inflammation, in pain, in kidney stones. That’s because oxalates show up in a lot of areas where there’s tissue inflammation. You can make a case in point about like calcium too. You could find calcified tissue in the joints. It doesn’t mean that consuming calcium caused that joint calcification. Calcium was part of that reaction but it’s not that someone’s calcium intake once it goes above and makes up a number, 1,100 milligrams a day, they can get kidney stones, gallstones, joint calcification. The body regulates that. The question is why was there inflammation? For example, oxalates and oxalic acid in kidney stones, this has been researched so thoroughly. Your oral ingestion of oxalate compounds has no relationship to your risk for kidney stones. There’s a subset of people who genetically with high amounts of oxalic acid in their urine, hyperoxaluria, for example. Even in these people, their intake of oxalate-high foods has no relationship to their risk for kidney stones. The idea that other people can have this oxalate, there’s a condition in which that subset can also have oxalates crystallize in their tissues and form gouty-like deposits. They’re super painful like little glass shards forming in the joints or in the tissues and that’s very real. Also in those cases with genetic susceptibility, it’s been studied there’s no link between their oral intake of oxalates. We’ve got oxalates circulating in every cell of our body. It passes through our urine. Some people genetically put out more than others. It’s found in kidney stones. It can be found in calcification and inflamed tissue like in breast cancer. Our intake of oxalates is not what creates those stones to form any more than our simple intake of calcium causes calcifications to form around rheumatic joints. You did a great video on oxalates. It’s a wonderful video that takes people along the journey of a lot of the research on oxalates, the pros, and cons. I was so happy where at the end you were like, “Keep eating certain foods,” which people avoid when it comes to trying to avoid oxalates. What are the foods that people avoid that have oxalates in it that are healthy for them? The top of the list is spinach. Spinach is quite high in that. At the same time, you look at lists of superfoods and like nutrient density per calorie, spinach wins there too. We’ll see things like blackberries as well and tons of good greens and good plant foods tend to be higher in that. Eating it has no bearing upon how much circulates or how much we excrete. When you have different perspectives, it’s not because you’ve always thought harder. It’s often because you’ve done these things earlier or made the mistake sooner. The next one which is a big challenge for a lot of people is the complete elimination of all grains from the diet. There are two ways we go about coming to answers to questions. One is what might occur based upon how we understand the chemistry. The other one is what’s happened to people in the real world. If you take that first approach and you say, “Grains have phytic acid. We know that in a test tube, phytic acid could bind-up with minerals. We know that in a test tube, massive amounts of phytic acid could harm cells of the intestinal tract. We know that people who that have celiac disease have health challenges.” If we put all those ideas together, you could think that grains are inflammatory and it could cause a lot of problems. In medical research, the idea is you can form ideas but then you want to test your ideas. Before you make decisions, you want to test things out. You can look back at groups of people and those who have consumed more grains and say, “Did they have more gut disease, inflammatory bowel disease? Do they have more autoimmune diseases in populations that consume more grains versus those who don’t?” The answer is pretty strongly the exact opposite. We see that intact whole grains decrease the risk of autoimmune disease, metabolic syndrome, most types of colorectal cancers, blood sugar dysregulation, cardiovascular disease or obesity. Whenever you see a conflict between and something that might happen, it’s something that did happen, we want to put more weight on what’s happening to people in the real world. I’m so glad in that category you mentioned metabolic syndrome because in that umbrella of conditions is Type 2 diabetes. There’s a lot of information out there that if you’re diabetic now, you should eliminate all grains from your diet because you’re limiting carbohydrates, which is “the thing” that your body is having a hard time processing. People now are trying to eliminate all of their grains. Do you recommend that for people with diabetes? In many cases when I have different perspectives, it’s not because I’ve always thought harder. It’s often because I’ve done these things earlier or made the mistake sooner. As a naturopathic endocrinologist, I manage a lot of diabetes. When continuous glucose monitors came out years ago, I started playing with some of the first ones. They were pretty cool because you could have someone wear a device and you can track your blood sugar 24/7, not just when you poke their finger or do their blood but continuous throughout the day. There was this theory that the carbohydrate insulin model of obesity and diabetes, which floated around a couple of decades ago. It came and went. It just didn’t turn out to be accurate. The thought was that if we consume carbohydrates of any type, then that makes this blood sugar spike. It raises our insulin and causes weight gain and complications. It’s super simple. It seems intuitive enough. The difficulty like in the case of the oxalates is that our body has so much work that it does internally regulate. Glucose, for example, in the bloodstream, we now know that the blood sugar in someone who’s diabetic, that 80% of their circulating blood sugar after meals. You back up, take someone who’s diabetic and check their blood sugar after a meal. Their postprandial glycemia is typically high. You can break that out and see did they make that or did that float in from their food? What we’re seeing is that 80% of that elevated blood sugar in that person, they made it. That leaked out of their liver. The term is the leaky liver syndrome. It wasn’t from their diet. They could have eaten food that had carbohydrate for sure, but that wasn’t where the glucose in your bloodstream came from. We used to think, “You ate something that had carbohydrate and that’s where glucose came from.” We now know that the more meaningful parts of glucose are what you produced by yourself. Paradoxically if you consume very little carbohydrate, that can cause your body’s own capacity to make glucose get even more active. What you’re saying in some ways is that as people start to move along the spectrum of insulin resistance, their liver can no longer store the glucose or the glycogen. It’s floating around in their system even before they begin a meal. After a meal, that causes the body to dump out what it’s got in stores because it’s got no more room to take anything in. That’s the leaky liver concept. It’s so full of fuel already that once you get something that you ingest, you’re going to pour more of that out. You could ingest carbs or fats. It won’t matter. The same amount of fuel can cause that same reaction from the liver. Let’s talk about the liver a little bit because I know it starts to segue into your book, which is called The Metabolism Reset. Everyone can check it out. It’s a great book. There are a lot of “detox” books that have been written about detox and diet, but you’re looking at the liver in a much different way, a much smarter way to help try to educate people about what this vital organ is. That helps with our digestion or detoxification or biotransformation. What do you want people to know about their liver first as far as their health goes? The big message is there are two core issues I’ve found that people struggle with more than any others. One in which their energy is not stable. They need to have caffeine or sugar or frequent meals to prop their energy up for a little while. The other big issue is that people find that they can’t regulate their waist size in a lasting way. I thought deeply about this. Anyone knows that if they skimp enough, they can drop a few pounds. It won’t stay or it won’t come from where they want it to come from. It’s not so much waist targeted. What I’ve come to find out is the liver’s role in storing fuel. I’ll give an example. You’re talking to me and you’re a healthy adult male. If you do nothing, your body will use up fuel. Sitting and thinking you’re going to be burning up probably around 100 calories of fuel per hour. I can see that you’re not eating right now. I can see there’s no food going in your mouth, but you’re still burning fuel. The liver’s role when it’s healthy is to store that fuel between meals and then let that out when your body’s using it. When that works well, what that translates into is pretty standard steady energy levels. Even without caffeine, even without eating super frequent or without eating things that burned fast, you can maintain good energy. The other side of that is whenever it’s time that you are eating and if you ever get more food than you need at that moment, your liver can harmlessly pull onto that extra as a good gas tank would and save it for later on. Many struggles with any time they get a little extra food that’s not perfect for what they want, they may go up by pounds at a time. If they try to compromise, they try to restrict their food. Maybe they’ll drop some pounds or not, but their waist won’t budge. They feel awful. The message is that’s not right. That’s not what you should expect. That means your liver is not working correctly and it can change. Becoming more aware of the health of your liver and your diet can affect something like fatigue where it’s so many people with chronic pain are given the diagnosis of chronic pain/chronic fatigue syndrome because they’re overlapping metabolic processes that are happening now. Thank you for bringing that up too. There are compounds called adipokines, which are these fat-like cells within the liver that form inflammatory chemicals. I came across so much data arguing that real trigger behind arthritis, whether it’s autoimmune or more so osteoarthritis. Also a lot of chronic inflammatory states of the muscles and myositis, fibromyalgia that a big part of that was related to these inflammatory signals. We’ve heard a lot about the belly fat. We’ve heard in the subcutaneous fat under the skin. There’s a third category. There’s fat inside the organs, inside the liver and the pancreas. It turns out that a few grams of that fat in the organs is the difference between being arthritic or not. We used to think that there are so many ties between arthritis and weight. People often used to think that, “If you’re heavier, you’re wearing a backpack all day and your knees wear out.” Now we know that’s not even relevant. If someone doesn’t have to take off the backpack and lose 50 pounds, they can drop a few grams of adipokines and completely shift their body’s swollen inflammatory state. Even without caffeine, even without eating frequent or without eating things that burn fast, you can maintain good energy. Drop a few grams of adipokines. Seriously, a mass of a couple of paperclips, that can be all that it takes. 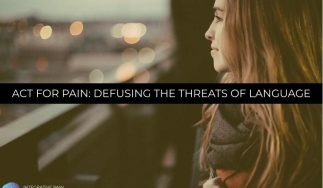 That’s so fascinating because it starts to reframe pain and what the cause of pain for a lot of people is. Obviously, for people with metabolic syndrome, diabetes, this is a big deal. You’re talking about fat in the liver, which the practitioner in me makes me think of nonalcoholic fatty liver disease. How much of a problem is that? How much of that is being missed? It’s like the diabetes spectrum where people are pre-diabetic for a long time before they get a diagnosis of diabetes. They’re in poor health that we could help. How does that parallel to your liver? That’s a great correlation between the diabetes spectrum. People understand that there’s overt diabetes and there’s getting on that slippery slope. It’s the exact same thing for the liver. Fatty Liver Syndrome, they define that as more than 5% fat in the liver cells. We’ve got further steps like steatohepatitis when the liver gets inflamed, liver failure, liver cancers. There’s a big spectrum long before that. Even classic fatty liver disease, the difficulty is that there are many ways that it may show up, but there are very few ways that completely rule it out. To screen people and say, “Do you have it? Yes or no?” There’s not a lot of strong no answers. The only way you can definitely say someone does not have it is with liver biopsy. That’s not a screening test. It is in one circumstance. If someone is healthy and they wish to donate liver tissue to a loved one. The liver is very resilient. It can regenerate. If we were twins and you had liver failure, I could give you a bunch of my liver. That would work out fine. Before I could do that, I would get a liver ultrasound. I would get liver enzyme tests. They would make sure that I was not diabetic. They would make sure that my weight was reasonable. If I pass through all those hurdles, the very last thing before donating liver tissue would be a liver biopsy. In circumstances like that, when healthy adults are all set to go, they passed every other test, 40.2% cannot donate because they’ve got fatty liver disease. It’s super prevalent. It’s a very sad number because there are people out there who need help, who need people with healthy livers to help them and to donate. If someone knows they have nonalcoholic fatty liver syndrome or they’re struggling with the other problems of metabolism and health, what type of diet are you recommending for them? How does that maybe differ from your first book, which is The Adrenal Reset Diet or does it differ? It does differ. The Adrenal Reset Diet was about getting a cortisol rhythm to come back in line again when it was disrupted. Also, that one was something that someone could spend three, six months on and then use a lot of from maintenance. This one is getting in and getting it done. Over the course of 28 days, your liver function can change so dramatically. It gives general ideas for maintenance suggestions. My impression is that most people that would listen to someone like yourself, they know that French fries are not good and broccoli is good, stuff like that. Most of them are probably doing 90%, 95% of the things they know they should. They’re not working well yet in many cases. The issue is their body is not responding right. Once the liver gets the toxic fat out from inside in between its cells, it responds differently. My experience is that then people’s mostly good habits are enough. They’re effective enough to get the health they were looking for when the body can change again. If someone said, “I’m interested in checking out this book, The Metabolism Reset Diet. Right now I’m Paleo and I’m not eating beans.” How does your diet differ? What is your diet say about beans? I didn’t write it because there are a lot of times people choose their diets based on ethical reasons, based on spirituality, based on environmental considerations. Those are all valid. I didn’t make it to where someone could be vegan, Paleo, autoimmune, still follow it that’s fine. For those who do not have non-health reasons that they’re choosing their food, which it’s a matter of what’s healthy or not healthy, I do talk about food categories. We’ve got a lot of evidence about legumes. Food categories, you think about legumes, fruits, vegetables, whole grains, nuts and seeds, seafood, poultry, dairy, eggs, beef, main food categories. Quantifiably if you can look how intake of a category affects mortality risk gram per gram, legumes are in a class by themselves. There’s like none of those food categories, even vegetable gram per gram does not cut mortality risk the way that legumes do. They are big hitters. Beans are a go. The only thing is that a lot of folks, if you don’t eat them, there’s a compound called raffinose, which is a trisaccharide, which is pretty unique. There’s not a lot of three-unit types of carbohydrate. That’s a rare trisaccharide and no other foods have that. If you’re not consuming legumes, you can’t process raffinose. You’ve always got the flora, at least dormant. If you do avoid them and have them for sure, you won’t feel well, that’s because you’re not used to them. You do like a tablespoon a day for a few weeks. You can process raffinose again. Food intolerances are super important. If there are things you are intolerant of, you tend to want to work around those. A client asked me, “I shouldn’t eat beans because I get gassy when I eat them. If I have gas, then it’s somehow disrupting my gut function.” I explained to her that this is probably a good potential, that it’s the opposite. There’s probably a good thing in beans that are very good for the flora in your gut. Can you talk about that to us? It’s the opposite. Not only are they helping for those ways, but the fact that someone reacts strongly, that’s a sign saying they need help in that way because their flora is not very robust and not very diverse. The paradox is that the fewer foods we consume, the fewer foods we get able to break down. We hear a lot about the importance of variety in the diet. People often miss that variety. It means the most at that macro level of categories. The more variety of food categories you can have the better. Within categories, variety is still great. Lots of kinds of greens and vegetables is awesome. At the macro level, that’s where variety has the biggest impact. As I was flipping through your book last time, I’m reading through it. It’s a wonderful book. Everyone should get it. Because of my heritage, because I’m Italian, I’ve done a lot of research into the Mediterranean diet. Your book in some ways parallels parts of the Mediterranean Diet. The one thing that’s never talked about or talked about probably the least as far as the benefits of the Mediterranean diet go is the amount of variety that those cultures get from their food. It’s probably because they’re fresh and the country is smaller so it’s easier to get foods locally sourced from a farm, eating seasonally. Where in the US, we don’t have that as much unless you’re in certain parts of the country. The concept of variety that comes through in your book and a lot of the food list that you give there are so detailed. To me, that’s the one thing I was like, “What people need to start to focus in on is the variety.” Can you talk about what we get with a variety that we might not get with, let’s say if you’re on a certain type of diet that eliminates certain categories of foods? If you’re on a very restrictive diet and this is bizarre, but I would put the standard American diet has a restricted diet too. You’ll see 20,000 things when you’re at the supermarket. That’s how many line items are in a typical supermarket. It seems like we’ve got infinite variety. Once you look at an ingredient list, there is refined flour, there are hydrogenated oils, there are salt and sugar. There’s random stuff. The 95% of the things we get are comprised of those few ingredients. All those are diets of low variety. The variety is critical in terms of supporting a good robust immune system via the flora. It’s also relevant for micronutrients. You’re getting vitamins and minerals and then all these phytonutrients as we talked before about how Broccoli makes our liver healthier. We want a good mixture of those good phytonutrients. Also fibers, fiber is often used singularly, but there are at least sixteen categories of fiber in the diet. Once we cut out a food category, like say we’ve cut out beans and whole grains. Out of those sixteen types of fiber we could consume, we’re down to about six possible types of fiber. We need that variety at that macro level. Everyone can read about the sixteen in your book, but most people think of two classes of fiber. You are saying there’s sixteen. It helps people think of like, “I’m not getting two fibers. I now have to go out and seek where are these sixteen and have fun with that basically.” Look at your food and try to figure out where it is. Get the variety on your shopping cart, get the variety into obviously your home and your kitchen and eventually get it into your plate, which goes into your body. I love the omnivore approach. It’s the way people need to go. Is there a place in your diet for food intolerances? The message that I want people to take home is that food intolerances are super important. If you’ve got celiac, if you’re anaphylactic to nuts where people identified foods that don’t work well with you, that’s the real deal and that’s significant. Celiac, we don’t have corrections for it yet. Anaphylactic reactions, we’re pending within about the next several months, the next year. Anaphylactic at early stages, that’s reversible stuff. The mindset is yes, you want to know what makes you sick. One thing I would throw out to someone as a quick challenge, a quick thought is would you react to that food before you heard that it was bad food. If you knew that, that’s more valid, but in many cases, you’ll see a book saying tomatoes are poisonous. Those cases can trigger symptoms. It’s very true. If there are things you are intolerant of, you want to work around those, but also know that that’s like wearing a crutch. That’s not meant to be a long-term solution. We want to figure out what happened to your leg too if you want to get your leg working again. It’s important what you say because you mentioned if someone reads, let’s say kale is high in oxalates and then every time they eat kale, they have chronic pain from it. It’s a good point to say that you can create your own type of stress response by having anxiety about food basically, which is the downside to elimination type diets. There is a place where if you are having an IGE or an IGG response, obviously we need to pay attention to those. Can people move beyond food intolerances eventually? They sure can and we see that. It’s rewarding to see. Here’s an extreme example to illustrate the point that you were talking about there. Imagine someone only consuming raw food vegetables, nothing else for ten years. For whatever crazy reason, they had three platefuls at an all-you-could-eat pork barbecue. They would have a bellyache. That’s not as much a medical intolerance to pork. That may or may not be good food for them, but they just hadn’t had anything remotely like that for so long. That’s a pitfall about eliminations that when you cut out a lot of foods now, the way your gut reacts may not be the way your gut would react in the context of a diet with some variety. The pitfalls that someone can say with accurate readings of their symptoms, “I ate this and now I don’t feel well.” That can become the slippery slope where their diet gets narrower. Not even thinking about the real ways in which suggestion can affect them. Not even thinking about that, but nuts and bolts of gastroenterology. The fewer foods you eat, the fewer foods you can digest. You can get boxed further into a corner of less health and less robust flora and more symptoms from that. Let’s move an organ backup to the liver for a moment. I feel like this is the year of the Ketogenic Diet. If I see one more keto supplement ad on my Facebook page, I think I’m going to maybe eat a cheeseburger or something. Talk to me about ketosis because it obviously it has to do with the function of the liver in some way. Do people need to reach a state of ketosis to reset their metabolism? Are there some people that should try a ketogenic diet? What are some of the myths? Give us some of the facts on that for us. Let’s pull apart evidence and theory. The theory, the idea is that in Ketosis, your body is burning fat and you can break down fatback. That’s the idea behind that. What we know about things that ketosis helps, there’s a center called Barrow’s Neurological Institute in Phoenix. A friend of mine is one of the heads of their nutritional center. They’ve pioneered a lot of the work on ketogenic diets and pediatric epilepsy. What they found is that there are some kids that are epileptic. They do not respond to medications for whom ketogenic diets can help them temporarily. Ketosis is exactly what happens when you cannot burn fat effectively. It’s not a first line approach because the side effects are greater than they are on medications. If it worked better, they would use it ubiquitously. Kids rarely get thyroid disease. It’s much more common in adults. In pediatric populations, it may be a few cases per thousand. When kids are put on a ketogenic diet, that goes up to about 22% of them develop thyroid disease. They know that once they’ve started the diet, they’ve got a screen closely and many of them need to go on thyroid medications while they’re on it. That’s one of the serious side effects we see in this population. There are times to where they’re so nonreactive to medications, it’s worth it. The side effects, the drawbacks can be worth getting them out of a cycle. That’s pretty much the extent of what we know that has been shown to be clinically beneficial. The rest of what’s theorized about is still at that level of theory. In biochemistry, it’s odd because ketosis is exactly what happens when you cannot burn fat effectively. It’s not when you’re burning fat, it’s when your body is no longer burning fat. I’m curious about epilepsy and thyroid. Do we know what it is about the ketogenic diet that affects the thyroid specifically? I know obviously, kids are different than adults and kids with epilepsy are a different group. They are but they’re not prone to thyroid disease more than regular kids are. It’s a valid thought but they’re not more prone to it otherwise. In terms of mechanisms, there are some strongly proposed mechanisms of reaction behind that. The main one is the liver’s conversion of T4 to T3 thyroid hormones. We talk a lot about insulin as if it’s this bad thing we want to like keep out and never have any insulin at all. It does a lot of important roles in the body. One of them is it activates the conversion of thyroid hormones. If we step back and we think about the body almost to anthropomorphize or think how is it doing what it’s doing, why would it do what it’s doing, if we were in a state of starvation, we wouldn’t want to be burning calories just willy-nilly. We want to like to slow down and save what we’ve got. When the body has high amounts of ketones, it interprets that as a starvation response and a healthy responsive mechanism is to suppress the activation of thyroid hormones. That’s done so you lower your metabolic rate in response to a starvation challenge. The pitfall however though is that if you suppress that strongly enough, you may precipitate some latent reaction waiting to occur autoimmune against your thyroid. We think that’s why it comes on. It’s a natural response to the suppression of food intake. In your book, do you recommend that people try to work themselves into ketosis to lose weight? Is it necessary? There are Ketogenic diets and there’s metabolic ketosis. Anytime you’ve got a deficit of your fuel, you’ll often have a mild amount of ketones in circulation. That may be associated with less appetite, fewer cravings. That can be fine. People often do have mild ketosis on the program. After the first few days that may kick in, it may make things easier for them. The goal is not to go into ketosis. Ironically, when you’ve got a lot of circulating ketones, that’s saying your body is unable to burn fuel. You’ve got to hold it. It’s not different than high blood sugar or high blood triglycerides. Ketones are one other form of fuel. If there’s a lot of those in circulation, we see the same stresses and traumas we see from high triglycerides or high sugar. You don’t need to be on a Ketogenic diet to lose weight or to necessarily manage metabolic syndrome. Let me pull apart ketogenic and metabolic ketosis. Anytime that you’re below your body’s fuel needs, you will form a small number of ketones and silly example, you could do that. There’s a thing called the Rice diet done by Dr. Kempner. This diet was white rice, white sugar, and grape juice. That was pretty much it. It’s the only carbohydrate and highly quickly absorb carbohydrates. If you’re below your fuel needs on those foods, you will make some ketones. You can be on a raw food vegan diet. You could be on nothing but pasta. If you’re below your fuel needs, you will form some ketones. That’s metabolic ketosis and that’s completely independent of what you’re eating. That’s how much you’re eating. Ketogenic is all you got coming in practically is fat. There are so little protein and so little carbohydrate that what’s happening is you’re not able to burn your own fat for fuel. You only burn fat for fuel well when you’ve got glycogen in your liver to help turn on a pathway called beta-oxidation. Once you starve your body of all glycogen, you’ll then start using your muscle mass. You use your muscles and help those to form the dietary fats into ketones. The thing that’s counterintuitive to people is that if you match your food intake exactingly, there’s no advantage to ketones for weight loss. One of the best studies done to date was done by Dr. Hall. He had a group of people who were put into two categories. They were controlled for the same food intake. One group were unfairly set up to fail. They were put on a diet that half of the diet was processed carbohydrate and a quarter of the diet was refined sugar. It was a horrible quality diet. The other group was put on a Ketogenic diet. It was the same caloric intake but higher quality foods. At the end of the timeframe what happened was those on the processed carbohydrate diet, they lost more body fat than those on the Ketogenic diet because it was all matched equal to equal. You can gain weight on a Ketogenic Diet and you can lose weight on a non-Ketogenic diet. My big goal on this one was to make it to where you could preferentially have waist reduction, get your liver healthier, and then be set up afterward to have a good metabolism, to not need to be on the diet cycle. They oftentimes are but you only lose weight if you’re below your body’s fuel needs. Most people, average diet are about 40% to 60% carbohydrate. If you cut out carbs, you’re cutting out a lot of food. You’ve lowered your food intake dramatically. That’s why they’re short-term benefits. There’ve been so many long-term studies comparing low carb versus low fat and long-term there are no differences. To be in good shape and good health, the goal is not the new rules you’ve got to try harder with; it’s how you shift your body to be like that. You mentioned fuel there. You make a distinction between fuel and calories. If you go back to Biology 101, sometimes those words are interchangeable. They can be confusing for people. Calories make a lot of sense scientifically. There’s a lot of baggage with the term. Calorie counting is not the most effective means for all people when it comes to weight loss. You can’t always say exactly how many calories someone needs. It’s hard to say exactly how many calories you consume. The other part is that protein is very different. When we’re talking about long-term management of body composition, protein does us a lot of favors. Having enough of that is beneficial for metabolic rate, lean body mass and satiety being filled up more readily. I pulled protein out of calories and talk about what’s left collectively as fuel. That’s the fats and the carbs. I want people to think it’s not that one is good, one is bad, they both have positive things to offer, but either one or a combination in excess will create this whole issue. It takes reducing the fuel, but still getting enough protein to help the liver function better again. It makes things simple in a way. You have your protein. Pretty much everyone knows what a piece of protein looks like. That’s the easiest nutrition education for people. It’s okay to look at the carbohydrates and the fats that you need. What do you recommend? What are the healthy carbohydrates or the recommended carbohydrates on The Metabolism Reset Diet? On the Reset Diet, I talked a lot about foods that are high in resistant starch. This is a pretty cool category. It’s a type of carbohydrate that stabilizes blood sugar for seven to nine hours. It keeps you in a range where your body can burn stored fat much more effectively. We find these in a lot of foods. They are highest in some of the white beans like navy, northern, and cannellini, good Italian food there. Also, we’ll see those in boiled potatoes and a little bit in under-ripe bananas and plantains but powerful superfoods. I love plantains. It’s one of my favorite foods. You can boil them. They’re good in a lot of different ways. As far as fats go? We’ve got a lot of good evidence as far as liver function goes around some of the heat stable polyunsaturated fats, things that we get from cold water fish. A lot of good research on olive oil, lots of data on avocados, nice things to focus on there. Fats that are naturally occurring in nuts and seeds. We’ve done a good overview of lots of different types of like fads and truths about nutrition, which is so important for people. We talked about the liver. We talked a little bit about the gut. Is there anything else you’d like people to know about the health of their liver and how it relates to your diet and your book? The big point is that there’s right now only about 8% of the population spontaneously has good body composition. The term in medical research sounds derogatory, but the term they’ve used is over fat and that’s people that are heavier than they want to be or they’re at a good weight, but there’s too little muscle mass. All that together is called over fat. That’s now about 92% of the population. The exciting story is you can expand that 8%. You can move out of the 92 into that 8%. Your liver is so resilient. Once you’ve gotten there, your body, by and large, wants to stay that way. We all know someone who doesn’t seem to put a lot of thought into what they’re consuming or what they’re doing, and yet they seem to be in good shape and good health. The goal is getting back to there. It’s not what are the new rules you’ve got to try harder with. It’s how do you shift your body to be like that. Obviously, we can help a whole lot of people by eating the way you recommend in your book and following some of your other research and things you have online. If people want to learn more about The Metabolism Reset Diet, they can go to Amazon and pick it up there. How can they learn more about the diet and how to get started with it? All of our data is at DrChristianson.com. We’ll have data about the book and the diet ideas there as well. We’ve got free challenges that go on that the people test it out for themselves and see what works for them. You don’t even have to get the book. It will all be there and available. Make sure you check out The Metabolism Reset Diet. I want to thank Dr. Alan Christianson for being on the Healing Pain Podcast. Make sure to share this podcast with your friends and family on Facebook, Twitter, LinkedIn, whatever favorite social media you have. Make sure to hop on over to DrJoeTatta.com/podcasts and sign up for the podcast each and every week. I’ll send you the latest episodes free right to your inbox. We’ll see you in the next episode. Dr. Alan Christianson, NMD is a New York Times bestselling author and a naturopathic physician based in Phoenix, Arizona. Dr. Alan specializes in natural endocrinology with a focus on thyroid, adrenal, and metabolic health conditions. He is the author of The Adrenal Reset Diet, The Complete Idiot’s Guide to Thyroid Disease, Healing Hashimoto’s A Savvy Patient’s Guide, and The Metabolic Reset Diet. Dr. Christianson suffered from cerebral palsy, a seizure disorder, poor coordination, and obesity as a child. He discovered books on nutrition, fitness, and health in high school inspiring him to create his own recovery plan. Today, Dr. Christianson is healthy, an avid mountain biker and rock climber, and is a physician who helps others optimize their health. He regularly appears on Dr. Oz, CNN, and the Today Show.